This book is intended for junior and senior undergraduate students, and master level students in human resources, risk management and insurance, industrial relations or public policy. The subject of the book is non-wage benefits paid to workers. Hence, it excludes discussion of needs-based programs such as welfare, food stamps, Supplementary Security Income, and Medicaid. It includes benefits mandated by the government including the major social insurance programs: workers' compensation, unemployment insurance and Social Security benefits. It also includes those benefits voluntarily provided by firms including: group medical care, disability benefits, paid sick time, pension benefits, life insurance, and assorted other fringe benefits. The book is divided into three parts. Part I (chapters 1 through 6) briefly introduces these programs and discusses some of the insurance and economic concepts that are useful in both evaluating the current programs, and in understanding what changes might mean for future costs and benefits. 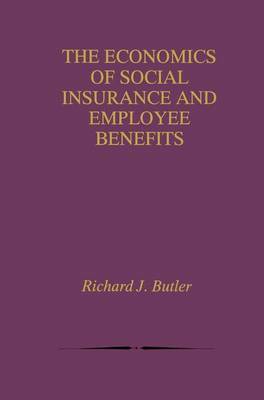 The next two parts of the book deal respectively with social insurance programs (Part II, chapters 7-10), and other employer provided benefits (Part III, chapters 11-16). Throughout, private sector human resource practice and public sector human resource policy is linked to various "ben~fit" models: the human capital model, the passive participant model, the insurance' model, the managed care model, and the integrated health benefits model.